Brenda Loveday is an experienced estate planning and trust administration paralegal, whose commitment and compassion to our clients is second to none. Brenda’s competency, humility, attention to detail, and utmost care for each client is what makes her such a valued member of our team. 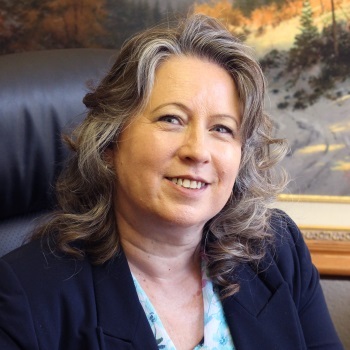 Before joining Aanestad Law, Brenda spent 13 years working with A. Ann Armstrong, one of Nevada County’s foremost estate planning attorneys who recently retired after nearly 25 years of practice in our area. Estate planning and the administration of trusts have been the cornerstone of what Brenda focuses on. She has a broad knowledge of these specific areas — and it makes her great at what she does. During her career, Brenda has assisted thousands of trustees through the trust administration process and hundreds more through the estate planning process. Most important, Brenda provides peace of mind to these clients and their families. Brenda and her family have lived in Nevada County for over three decades and have raised their two children here in the Gold Country. Brenda is an avid gardener and has an English cottage style garden that she tends to with the same meticulous care that she brings to her work at Aanestad Law.